The only show where the comedians want your instant feedback about their comedy concoctions. 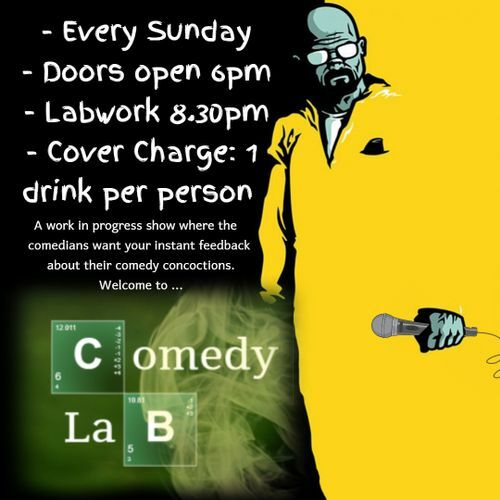 Dr DeeCee introduces you to new, old and first time comedians every Sunday. Laughter guaranteed as you enjoy new jokes being formulated and comedy careers taking off (or not).